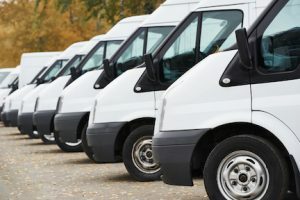 Many businesses maintain a fleet of vehicles as a necessary element of their operations. Drivers take the wheel every day, occasionally using multiple vehicles for differing purposes. But do they know what is expected of them at all times? What kind of training and instruction have they received? How about purchasing fuel? Personal usage? Parking at their homes during non-working hours? Secure and promote the support and commitment of all levels of management. Issue written policies and procedures regarding all aspects of vehicle use related to the business, and ensure that all drivers have ongoing access to this information. Create a roster of all drivers, including those who drive on behalf of the business using fleet vehicles, personal cars and trucks, and rented vehicles. Screen and select drivers to create a reliable team of safe drivers as the key to ongoing fleet safety success. Clear hiring standards must be detailed and adhered to. Offer and record completion of training to all drivers, covering vehicles safety policies and procedures, including defensive driving. Formalize schedules and record keeping related to vehicle inspections, repairs, and maintenance, to avoid costly breakdowns and accidents due to faulty equipment. Manage drivers regularly, offering additional training where needed. Also manage accidents carefully to better understand areas of exposure and reduce the likelihood of future accidents. The professionals at The Reschini Group can help your organization get a fleet safety program in place that works for your specific needs. Read more about safety issues and contact us to talk more about this important consideration. The Reschini Group provides these updates for information only, and does not provide legal advice. To make decisions regarding insurance matters, please consult directly with a licensed insurance professional or firm.